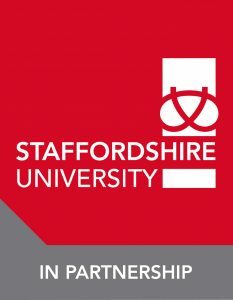 CYM are delighted to work in partnership with Staffordshire University to provide undergraduate and postgraduate qualifications in children’s, youth work, chaplaincy, professional practice and contextual ministry as well as a wide range of short continuing professional development courses at levels 4 and 7. We are the Connected University. We’re connected to the needs of our students, to business and to society. Our city campus in Stoke-on-Trent is the University’s nerve centre. We deliver world class healthcare education at our specialist Centres of Excellence in Stafford and Shrewsbury. And a global network of more than 20,000 people study our degrees internationally. Our industry connections and emphasis on experience make our graduates among the most employable in the UK. A leading university for digital technologies, we are always building on our proud computing heritage and strong reputation for computer games courses. Our silver award in the 2017 Teaching Excellence Framework recognises excellent standards of learning and teaching, while 78 per cent of our research is world leading or of international importance (Research Excellence Framework 2014). Our interdisciplinary network of research centres drive the publication of hundreds of papers each year.